Blackjack strategy training for the average Joe. Join the thousands of players in over 40 countries that have learned blackjack strategy using our tools! Have fun and win more often! 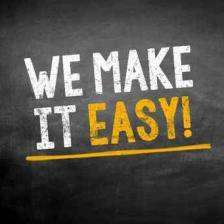 Did you know that by using simple basic strategy tactics, you can often reduce the casino's edge to .5% or less? 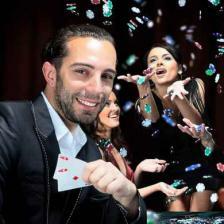 It's commonly cited that players who don't use basic strategy give the casino an edge of 3-5%. If you aren't using blackjack strategy, your odds are up to 10 times worse than they should be. To learn basic blackjack strategy, you don't need to understand detailed statistics, or learn complicated counting techniques. We break the game down into easy blackjack strategies that are simple to understand, memorize and practice. If you can remember about twenty rules like "Always split Aces and Eights," you'll have no problem learning blackjack strategy from us. Authentic basic blackjack strategy is easy to learn and not in violation of casino policies. Other strategies aimed at beating blackjack, such as card counting, are often banned at casinos and can take thousands of hours to learn and perfect. 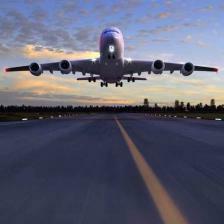 All blackjack training materials are instantly accessible and perfect for the busy professional or last-minute traveler. 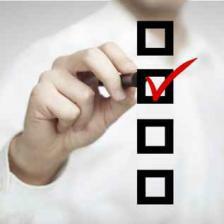 Don't get stuck worried that you need a few tips or a strategy refresher when its too late. Just download the app and take it with you. It's that simple. 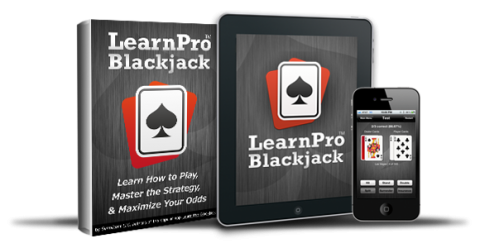 Get Learn Pro Blackjack Now! Don't look foolish at the table. Check out the guide's chapters reviewing the rules and gameplay instructions and learn the appropriate etiquette, manners and tipping procedures. Learn about the casino's house edge, game fluctuation, and basic strategy, and dramatically improve your odds. Also, find out the important facts and tips that most people don't know which can to take your game to the next level. Make sure you know how well you understand the basics, and also learn the best ways to practice blackjack before hitting the casino for real. The book tells you exactly how prepare for a live game. Find out how to choose a casino, and what type of tables you will have the best chance of winning at. Also, get an introduction to the various blackjack side bets and rule variations and how they impact your odds of winning. In addition to the main chapters, enjoy fun bonus content. At the end of the blackjack guide, read a few pages about the history of the game, the famous MIT team, how to play Spanish 21 (a popular variation of blackjack found in many casinos), and get a sneak peak into exactly how card counters and cheaters try to take advantage of the system to bring down the house.